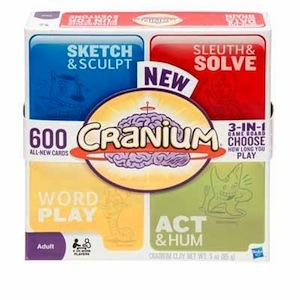 Cranium is the outrageously fun award-winning board game packed with something for everyone fun. Whether you're an aspiring actor, artist, data hound, or wordsmith, Cranium gives everyone a chance to shine. Features 600 all new cards, and the new 3 in 1 foldout game board lets you choose how long you play. For 4 or more players.